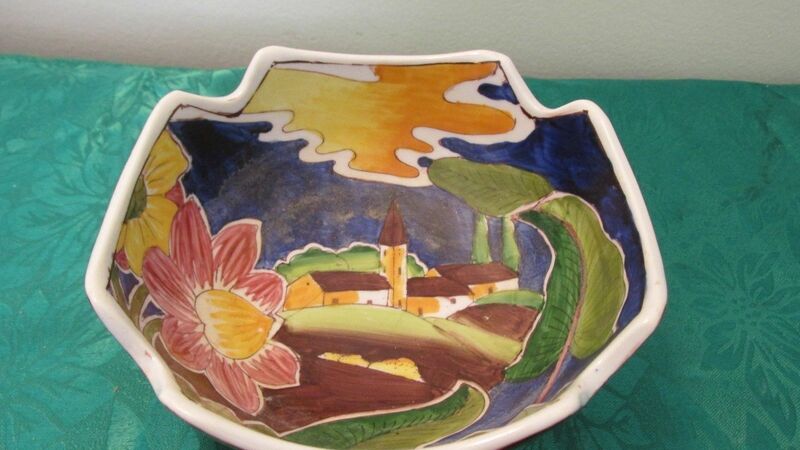 This beautiful hand painted Chinese Rice Bowl is so colorful. and well made. 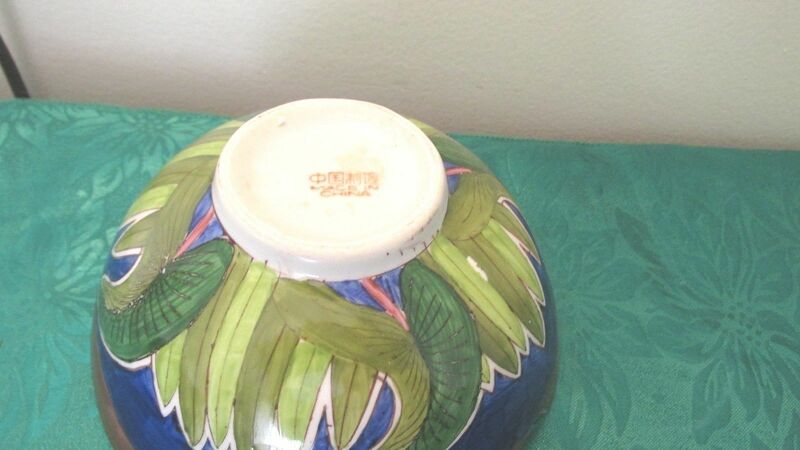 Has Chinese writing and made in china on the bottom. It is about 2 3/4" tall and almost 6" wide. Thanks for looking! Bonnie Items are processed in a cat and dog friendly environment that is smoke free. We recommend priority mail because it is insured. We will ship within three days of items being sold except on holiday weeks. We do accept returns but do not cover return shipping. 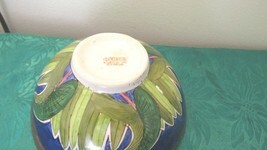 If an item is damaged please send us a picture. Feedback is important to us. Please let us know how we are doing and feel free to contact us at any time.